Y Pedwarau are the Welsh hills at or above 400m and below 500m in height that have a minimum drop of 30m. 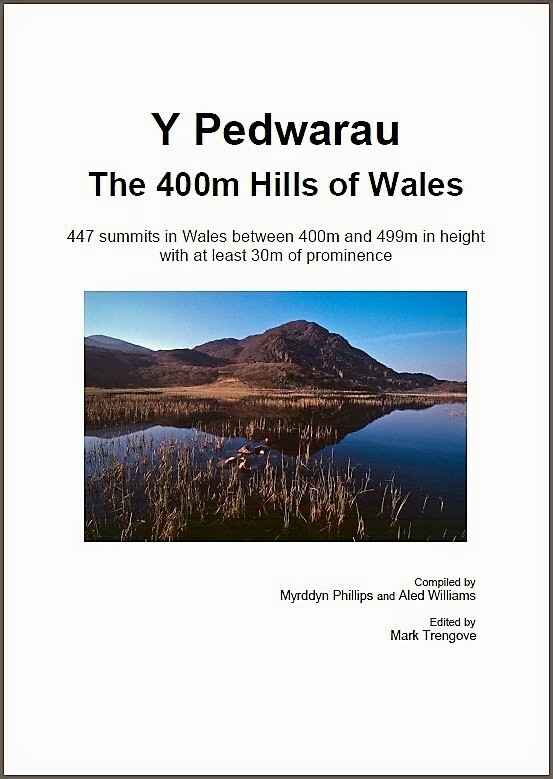 The list’s initial compilation was completed in November 2002 and entitled The 400m Peaks of Wales and was first published on 19th December 2002 on the RHB Yahoo Group file database along with the equivalent English and Manx hills, with the file entitled the 400m hills of England, Isle of Man and Wales, this file was uploaded by Rob Woodall who later augmented data from Clem Clements into the database. Over subsequent years the listing now known as Y Pedwarau has been published on the v-g.me website and the 5everdene website in list format (22nd October 2004), available as a downloadable e-booklet and print-booklet version on the Europeaklist website (23rd May 2013), available as GPS Waypoints, Google mapping and online hill bagging tick lists on the Haroldstreet website (6th January 2014) and as of 30th January 2017 publication of Y Pedwarau commenced on the Mapping Mountains site. The original compilation included a sub-list of hills which was refined and included in the publication on the v-g.me and the 5everdene websites, with the sub-list on the former named ‘Hills to be surveyed’. This sub list comprised all hills identified from map study that were at or above 400m and below 500m in height and if surveyed for drop stood a chance of qualifying for the main P30 list. At the time of compilation the spot heights on Ordnance Survey maps were taken at face value as the margin of uncertainty applicable to the surveying method that ascertained them was unknown at the time. Therefore if a hill was given a drop value of 29m from its summit and bwlch spot heights it was not included in this ‘Hills to be surveyed’ sub list as it was deemed not to warrant a survey for inclusion into the main P30 list as the map had given it 29m of drop. 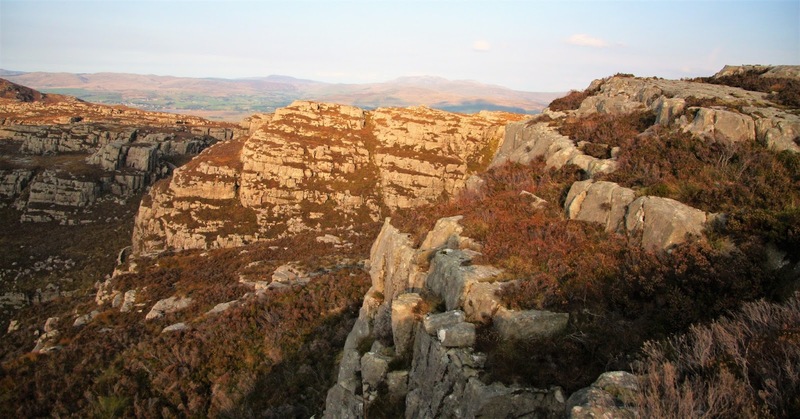 This sub list has now been standardised and comprises all Welsh hills that are at or above 400m and below 500m in height and have 20m or more and below 30m of drop, the name of this sub list is the 400m Sub-Pedwarau. It wasn’t until the interest shown by Mark Trengove for this list to be published by Europeaklist that the 400m Sub-Pedwarau were fully re-evaluated, with the subsequent publication on 23rd May 2013 entitled Y Pedwarau and leading the way to the list becoming co-authored with Aled Williams. 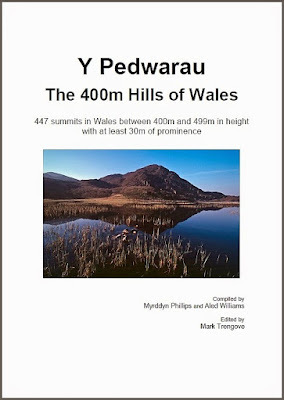 After Y Pedwarau was later published on 6th January 2014 by Phil Newby on his Haroldstreet website all future updates to the list have been catalogued on the Mapping Mountains site. With all updates to the list appearing on Mapping Mountains it became evident that keeping the list up-to-date if hosted on another person’s website was difficult to say the least, therefore on 30th January 2017 the Y Pedwarau list commenced publication on Mapping Mountains with five sub lists accompanying the main P30 Pedwar list. Since its original publication Y Pedwarau has changed greatly as the list is now co-authored with Aled Williams, and although the criteria has remained the same for the main P30 list, the criteria for the 400m Sub-Pedwarau has now been standardised, and the numerical data benefits from the advent of accurate surveys conducted with GPS / GNSS receiver, an expanded range of Ordnance Survey maps available online and most recently, by analysis of LIDAR data enabling greater accuracy for numerical data. However, it is not just numerical data that has seen this list develop since its first inception, it is also place-name data, and it was because of this and their mutual interest in hill lists that the authors first corresponded. The listing is also gaining in popularity as there are now four known completers of Y Pedwarau with another ten people having completed 100 or more Pedwar hills. 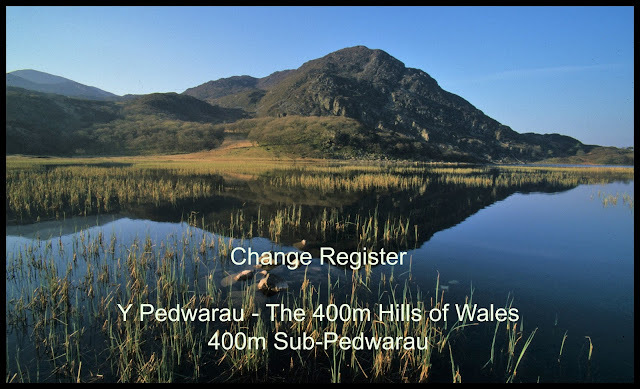 It seems fitting that the list of Y Pedwarau – The 400m Hills of Wales – 400m Sub-Pedwarau should now benefit from a detailed Change Register, and although the great bulk of updates to this list have been catalogued since its first inception in 2002, it is prudent for this Change Register to initially detail the changes to this sub list since the May 2013 publication by Europeaklist. The Change Register to Y Pedwarau – The 400m Hills of Wales – 400m Sub-Pedwarau appears below with the reclassifications to the list being detailed chronologically in receding order. This hill’s reinstatement as a Pedwar was confirmed by a Trimble GeoXH 6000 survey which took place on the 03.06.18 with the Survey Post appearing on Mapping Mountains on the 21.08.18 and the Hill Reclassifications post appearing on the 20.09.18, the hill was previously listed as a 400m Sub-Pedwar due to LIDAR analysis which had resulted in its reclassification from Pedwar status (see below). This hill was subsequently surveyed by Myrddyn Phillips using a Trimble GeoXH 6000 resulting in a 30.3m drop value. 400m Sub-Pedwar total decreases by one and confirmed as 216. The survey confirming this hill’s reinstatement as a Pedwar took place on the 03.06.18 with the Survey Post appearing on Mapping Mountains on the 16.08.18 and the Hill Reclassifications post appearing on the 12.09.18, the hill was previously listed as a 400m Sub-Pedwar due to LIDAR analysis which had resulted in its reclassification from Pedwar status (see below). 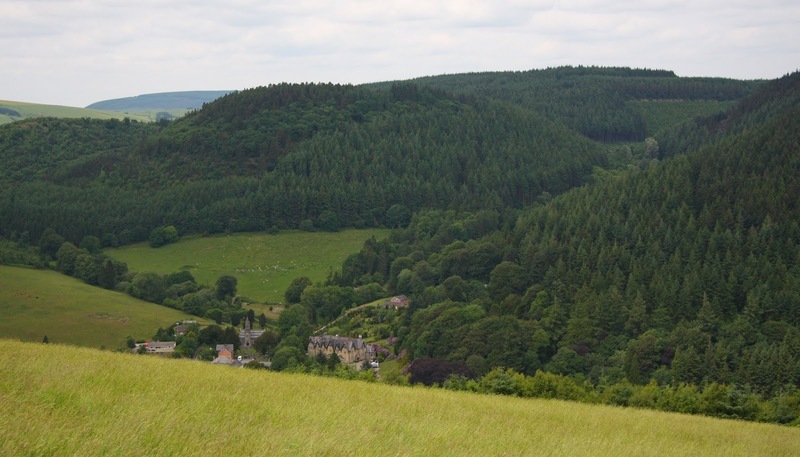 This hill was subsequently surveyed by Myrddyn Phillips using a Trimble GeoXH 6000 resulting in a 30.2m drop value. 400m Sub-Pedwar total decreases by one and confirmed as 217. The announcement of this hill’s addition to 400m Sub-Pedwar status appeared on Mapping Mountains on the 27.07.18, the hill was previously listed with c 19m of drop based on the 486m summit spot height that appears on the Ordnance Survey 1:25,000 Explorer map and an estimated bwlch height of c 467m based on interpolation of bwlch contours between 460m – 470m. This hill’s addition is due to analysis of data on the OS Maps website, which is the recent replacement for OS Get-a-map. This mapping has 5m contour intervals enabling the estimated height of the bwlch to be narrowed down when compared to the 10m contour intervals on other Ordnance Survey maps, and with an estimated bwlch height of c 464m, based on interpolation of contours between 460m – 465m, these values give this hill c 22m of drop, which is sufficient for its inclusion as a 400m Sub-Pedwar. 400m Sub-Pedwar total increases by one and confirmed as 218. The reinstatement of this hill to 400m Sub-Pedwar status was announced on Mapping Mountains on the 15.07.18; the hill had been listed in this sub category with c 20m of drop and then deleted due to DTM LIDAR analysis resulting in 19.98m of drop (see below), the hill was subsequently re-analysed using the 1m DSM LIDAR model resulting in a 459.92m summit height and a 439.92m bwlch height, giving the hill 20.00m of drop, which is sufficient for it to be reinstated as a 400m Sub-Pedwar. 400m Sub-Pedwar total increases by one and confirmed as 217. This hill’s deletion from 400m Sub-Pedwar status was announced on Mapping Mountains on the 12.05.18, the hill was previously listed with c 20m of drop based on the 409m summit spot height that appears on the Ordnance Survey 1:50,000 Landranger and 1:25,000 Explorer map and an estimated bwlch height of c 389m based on interpolation of bwlch contouring between 380m – 390m. 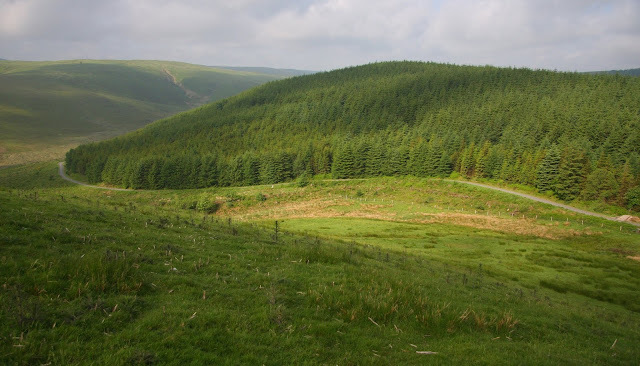 This hill’s deletion is due to LIDAR analysis conducted by Myrddyn Phillips resulting in a 408.0m summit height and a 389.45m bwlch height, with these values giving this hill 18.5m of drop which is insufficient for its retention as a 400m Sub-Pedwar. 400m Sub-Pedwar total decreases by one and confirmed as 216. The Hill Reclassification post confirming this hill’s re-instatement to Pedwar status was published on Mapping Mountains on the 04.10.17, the hill was previously listed as a 400m Sub-Pedwar due to a survey with the Trimble GeoXH 6000 which had resulted in its reclassification from Pedwar status (see below). This hill was subsequently surveyed by John Barnard and Graham Jacking on the 24.06.17 with a Leica GS15 resulting in a 30.2m drop value. 400m Sub-Pedwar total decreases by one and confirmed as 217. The reclassification of this hill from 400m Sub-Pedwar to Pedwar status was announced on the Mapping Mountains site on the 19.09.17, the hill was previously listed with 29m of drop based on a basic levelling survey conducted by Myrddyn Phillips on the 05.10.03. This hill’s reclassification is due to LIDAR data analysed by Aled Williams resulting in a 407.7m summit height and a 376.3m bwlch height, with these values giving this hill 31.4m of drop which is sufficient for this hill to be listed as a Pedwar. 400m Sub-Pedwar total decreases by one and confirmed as 218. The deletion of this hill from 400m Sub-Pedwar status was announced on Mapping Mountains on 12.09.17, the hill was previously listed with 25m of drop based on the 436m summit spot height on the Ordnance Survey 1:25,000 Explorer map and the 411m bwlch spot height on the Ordnance Survey enlarged mapping hosted on the Geograph website. This hill’s deletion is due to LIDAR data analysed by Aled Williams resulting in a 437.6m summit height and a 418.5m bwlch height, with these values giving this hill 19.1m of drop which is insufficient for 400m Sub-Pedwar status. 400m Sub-Pedwar total decreases by one and confirmed as 219. This hill’s addition to 400m Sub-Pedwar status was announced on the Mapping Mountains site on 29.08.17, the hill was previously not classified but was catalogued with 16m of drop based on the 404m summit spot height on the Ordnance Survey 1:25,000 Explorer map and the 388m bwlch spot height on the Ordnance Survey enlarged mapping hosted on the Geograph website. This hill’s addition is due to LIDAR data analysed by Aled Williams resulting in a 405.0m summit height and a 383.9m bwlch height, with these values giving this hill 21.1m of drop which is sufficient for its inclusion as a 400m Sub-Pedwar. 400m Sub-Pedwar total increases by one and confirmed as 220. The addition of this hill to 400m Sub-Pedwar status was announced on Mapping Mountains on the 07.08.17, the hill was previously not classified as its uppermost 430m ring contour that appears on Ordnance Survey 1:50,000 Landranger and 1:25,000 Explorer maps and bwlch contouring between 420m – 430m did not warrant even P14m status. This hill’s addition is due to LIDAR data analysed by Aled Williams resulting in a 442.9m summit height and a 422.3m bwlch height, with these values giving this hill 20.6m of drop which is sufficient for its inclusion as a 400m Sub-Pedwar. 400m Sub-Pedwar total increases by one and confirmed as 219. This hill’s deletion from the 400m Sub-Pedwar category was announced on Mapping Mountains on 21.07.17, the hill was previously listed with 20m of drop based on the 477m summit and 457m bwlch spot heights that appear on the Ordnance Survey enlarged mapping hosted on the Geograph website. This hill’s deletion is due to LIDAR data analysed by Aled Williams resulting in a 475.5m summit height and a 456.1m bwlch height, with these values giving this hill 19.4m of drop, which is insufficient for 400m Sub-Pedwar inclusion. 400m Sub-Pedwar total decreases by one and confirmed as 218. The deletion of this hill from 400m Sub-Pedwar status was announced on the Mapping Mountains site on the 19.06.17, the hill was previously listed with c 20m of drop based on the 459m summit spot height that appears on the Ordnance Survey 1:25,000 Explorer map and an estimated bwlch height of c 439m based on interpolation of bwlch contouring between 430m – 440m. This hill’s deletion is due to LIDAR data analysed by Aled Williams resulting in 19.98m of drop with a 459.9m (converted to OSGM15) summit height and a 439.9m (converted to OSGM15) bwlch height, with the drop value just below the minimum required for inclusion to this sub category. This hill has subsequently been re-evaluated using the 1m DSM LIDAR model which gives the hill 20.00m of drop and therefore it has been reinstated to 400m Sub-Pedwar status (see above). 400m Sub-Pedwar total decreases by one and confirmed as 219. This hill’s addition to the status of 400m Sub-Pedwar was announced on Mapping Mountains on 13.06.17, the hill was previously not classified, although it was catalogued with c 18m of drop based on the 444m summit spot height that appears on the Ordnance Survey enlarged mapping hosted on the Geograph website and an estimated bwlch height of c 426m based on interpolation of bwlch contouring between 420m – 430m. This hill’s addition is due to LIDAR data analysed by Aled Williams resulting in 443.5m summit height and 422.0m bwlch height, with these values giving this hill 21.5m of drop which is sufficient for its inclusion as a 400m Sub-Pedwar. 400m Sub-Pedwar total increases by one and confirmed as 220. The addition of this hill to the ranks of 400m Sub-Pedwar was announced on Mapping Mountains on the 12.06.17, the hill was originally catalogued with c 20m of drop which is sufficient for its inclusion in this sub category, however its details were re-evaluated resulting in misinterpolation of bwlch contours and it being catalogued with c 14m of drop. This hill’s addition is due to LIDAR data analysed by Aled Williams resulting in 435.2m and 413.3m summit and bwlch height respectively, with these values giving this hill 21.9m of drop. 400m Sub-Pedwar total increases by one and confirmed as 219. This hill’s reclassification from Pedwar to 400m Sub-Pedwar was announced on the Mapping Mountains site on the 11.06.17, the hill was previously listed with c 76m of drop based on an estimated summit height of c 453m and an estimated bwlch height of c 377m, with the latter based on interpolation of bwlch contouring between 370m – 380m. This hill’s reclassification is due to LIDAR data analysed by Aled Williams and is also dependent upon the details for its adjacent hill of Allt y Derw (SN 873 834), with the height of the highest hill swapping, with this affecting the position of the critical bwlch of both hills and the status of Fuches, resulting in a 446.7m summit height and a 419.2m bwlch height, with these values giving this hill 27.5m of drop which is insufficient for its retention as a Pedwar. This hill has subsequently been reinstated to Pedwar status. 400m Sub-Pedwar total increases by one and confirmed as 218. 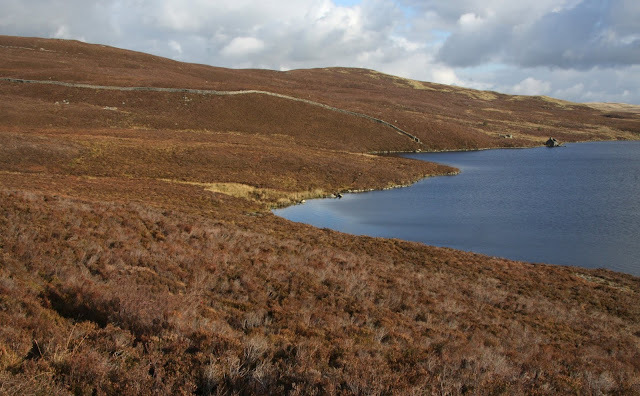 The reclassification of this hill to Pedwar status was announced on Mapping Mountains on 06.06.17, the hill was previously listed as a 400m Sub-Pedwar with c 20m of drop based on the 447m summit spot height that appears on the Ordnance Survey 1:50,000 Landranger and 1:25,000 Explorer map and an estimated c 427m bwlch height based on interpolation of bwlch contouring between 420m – 430m. This hill’s reclassification is due to LIDAR data analysed by Aled Williams (and is also dependent upon the details for its adjacent hill of Esgair Hir [SN 937 925], see below) resulting in a 446.7m summit height and a 394.7m bwlch height, with these values giving this hill 52.0m of drop. 400m Sub-Pedwar total decreases by one and confirmed as 217. This hill’s reclassification to 400m Sub-Pedwar status was announced on Mapping Mountains on the 05.06.17, the hill was previously listed as a Pedwar with c 51m of drop based on the 448m summit spot height that appears on the Ordnance Survey 1:25,000 Explorer map and an estimated c 397m bwlch height based on interpolation of bwlch contouring between 390m – 400m. This hill’s reclassification is due to LIDAR data analysed by Aled Williams (and is also dependent upon the details for its adjacent hill of Bryn Crugog [SN 941 923], see above) resulting in a 446.5m summit height and a 423.7m bwlch height, with these values giving this hill 22.8m of drop which is insufficient for its continued Pedwar status. 400m Sub-Pedwar total increases by one and confirmed as 218. The announcement of this hill’s deletion from 400m Sub-Pedwar status was made on the Mapping Mountains site on the 22.05.17, the hill was previously listed with c 21m of drop based on the 469m summit spot height that appears on the Ordnance Survey 1:50,000 Landranger and 1:25,000 Explorer maps and an estimated bwlch height of c 448m based on interpolation of contours between 440m – 450m. This hill’s deletion from 400m Sub-Pedwar status is due to LIDAR data analysed by Aled Williams resulting in a 467.7m summit height and a 448.7m bwlch height, with these values giving this hill 19.0m of drop which is insufficient for it to retain its 400m Sub-Pedwar status. 400m Sub-Pedwar total decreases by one and confirmed as 217. This hill’s deletion from 400m Sub-Pedwar status was announced on Mapping Mountains on 18.05.17, the hill was previously listed with c 20m of drop based on the 414m summit spot height on the Ordnance Survey 1:25,000 Explorer map and an estimated bwlch height of c 394m based on interpolation of contours between 390m – 400m. This hill’s deletion from 400m Sub-Pedwar status is due to LIDAR data analysed by Aled Williams resulting in a 408.4m summit height and a 391.9m bwlch height, with these values giving this hill 16.5m of drop which is insufficient for it to retain its 400m Sub-Pedwar status. 400m Sub-Pedwar total decreases by one and confirmed as 218. The reclassification of this hill was announced on the Mapping Mountains site on 14.05.17, the hill was previously listed as a Pedwar with 32m of drop based on a basic levelling survey conducted by Myrddyn Phillips on 17.04.03 which resulted in 104ft (31.7m) of drop. This hill’s reclassification to 400m Sub-Pedwar status is due to LIDAR data analysed by Aled Williams resulting in a 466.2m summit height and a 437.9m bwlch height, with these values giving this hill 28.3m of drop which is insufficient for its continued Pedwar inclusion. 400m Sub-Pedwar total increases by one and confirmed as 219. This hill’s reclassification to 400m Sub-Pedwar status was announced on the Mapping Mountains site on the 12.05.17, the hill was previously listed as a Pedwar with c 32m of drop based on the 464m summit spot height on the Ordnance Survey 1:25,000 Explorer map and an estimated bwlch height of c 432m. This hill’s reclassification to 400m Sub-Pedwar status is due to LIDAR data analysed by Aled Williams resulting in a 461.4m summit height and a 432.5m bwlch height, with these values giving this hill 28.9m of drop which is insufficient for Pedwar qualification. 400m Sub-Pedwar total increases by one and confirmed as 218. The Mapping Mountains site announced the addition of this hill to 400m Sub-Pedwar status on the 01.05.17, the hill was previously catalogued with 19m of drop based on the 417m summit spot height on the Ordnance Survey 1:25,000 Explorer map and the 398m bwlch spot height on the Ordnance Survey enlarged mapping hosted on the Geograph website. 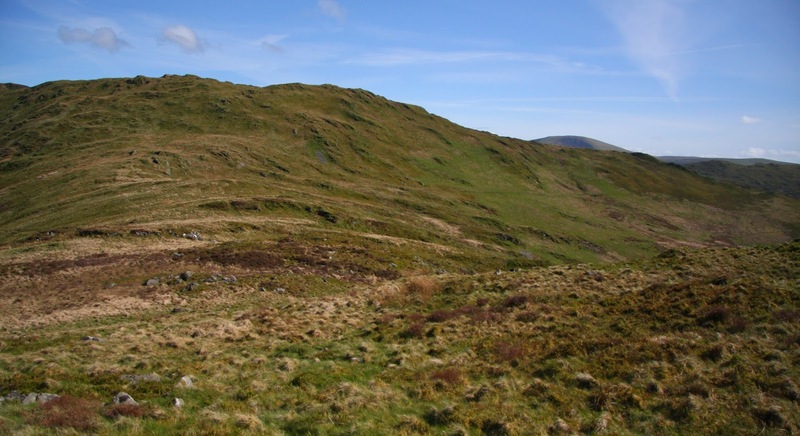 This hill’s addition is due to LIDAR data analysed by Aled Williams resulting in a 416.8m summit and 396.7m bwlch height giving this hill 20.1m of drop which is sufficient for its inclusion as a 400m Sub-Pedwar. 400m Sub-Pedwar total increases by one and confirmed as 217. This hill’s deletion from 400m Sub-Pedwarau status was announced on Mapping Mountains on 23.04.17, the hill was previously listed with 20m of drop based on the 455m summit spot height on the Ordnance Survey 1:50,000 Landranger map and the 1:25,000 Explorer map and the 435m bwlch spot height on the Ordnance Survey 1:25,000 Explorer map. This hill’s deletion is due to LIDAR data analysed by Aled Williams resulting in a summit height of 455.3m and a bwlch height of 435.9m, with these values giving this hill 19.4m of drop, which is below the minimum of 20m of drop for it to retain its 400m Sub-Pedwar status. 400m Sub-Pedwar total decreases by one and confirmed as 216. The deletion of this hill from the ranks of 400m Sub-Pedwarau was announced on Mapping Mountains on 18.04.17, the hill was previously listed with 20m of drop based on the 458m summit spot height on the Ordnance Survey 1:25,000 Explorer map and the 438m bwlch spot height on the Ordnance Survey enlarged mapping hosted on the Geograph website. This hill’s deletion is due to LIDAR data analysed by Aled Williams resulting in a summit height of 458.5m and a bwlch height of 438.9m, with these values giving this hill 19.6m of drop, which is insufficient for it to retain its classification as a 400m Sub-Pedwar. 400m Sub-Pedwar total decreases by one and confirmed as 217. This hill’s reclassification from 400m Sub-Pedwar status was announced on the Mapping Mountains site on the 24.03.17, the hill was previously listed with c 27m of drop based on the 444m spot height on the Ordnance Survey 1:25,000 Explorer map and an estimated bwlch height of c 417m. This hill’s reclassification to Pedwar status is due to LIDAR data analysed by Aled Williams resulting in a summit height of 451.4m and a bwlch height of 416.4m, with these values giving this hill 35.0m of drop. 400m Sub-Pedwar total decreases by one and confirmed as 218. The announcement of this hill’s reclassification to the ranks of 400m Sub-Pedwar was announced on the Mapping Mountains site on 17.03.17, the hill was previously listed as a Pedwar with 32m of drop based on a 104ft (31.7m) basic levelling survey conducted by Myrddyn Phillips on the 23.04.04. 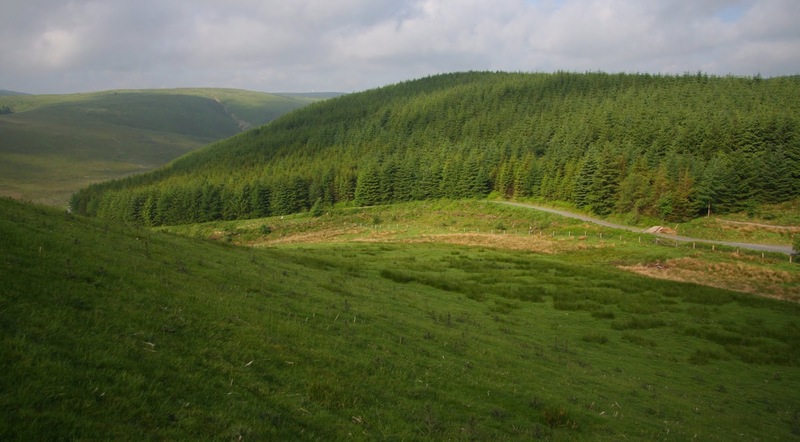 This hill’s reclassification is due to LIDAR data analysed by Aled Williams resulting in a summit height of 426.7m and a bwlch height of 398.6m, with these values giving this hill 28.1m of drop, which is insufficient for it to retain its classification as a Pedwar. 400m Sub-Pedwar total increases by one and confirmed as 219. This is the first hill reclassified from the ranks of 500m Sub-Pedwarau to 400 Sub-Pedwar status since the upper sub category was announced as a part of the Y Pedwarau list when publication commenced of this list on Mapping Mountains on the 30.01.17. The reclassification of this hill was announced on Mapping Mountains on 14.03.17, and the hill was previously listed as a 500m Sub-Pedwar with an estimated summit height of c 500m which was based on the relatively flat topped summit area in relation to the dimensions of the uppermost 500m ring contour on current Ordnance Survey maps, as well as the 27.9m drop value ascertained by line survey on the 30.06.08 and conducted by John Barnard, Graham Jackson, Myrddyn Phillips and David Purchase. This hill’s reclassification is due to LIDAR data analysed by Aled Williams with the resulting summit height being 499.1m which is below the 500m threshold and therefore with a drop below 30m it qualifies for inclusion as a 400m Sub-Pedwar. 400m Sub-Pedwar total increases by one and confirmed as 218. The reclassification of this hill to 400m Sub-Pedwar status was announced on the Mapping Mountains site on the 11.03.17, the hill was previously listed as a Pedwar with 31m of drop based on the 496m summit spot that appears on the Ordnance Survey 1:50,000 Landranger and 1:25,000 Explorer map and the 465m bwlch spot height that appears on the Ordnance Survey enlarged mapping hosted on the Geograph website. This hill’s reclassification is due to LIDAR data analysed by Aled Williams with the resulting height details being 494.6m summit and 464.7m bwlch, giving this hill 29.9m of drop which is insufficient for continued Pedwar status. 400m Sub-Pedwar total increases by one and confirmed as 217. The acceptance of Banc y Llyn as a 400m Sub-Pedwar was announced on the Mapping Mountains site on the 03.02.17, the hill was previously listed in Y Pellennig – The Remotest Hills of Wales with c 19m of drop based on the 474m summit spot height that appears on the Ordnance Survey 1:25,000 Explorer map and an estimated bwlch height of c 455m based on bwlch contouring between 450m – 460m. 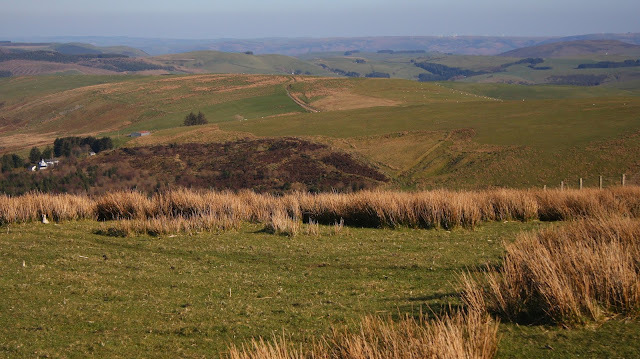 The classification of this hill as a 400m Sub-Pedwar is from LIDAR data analysed by Aled Williams with the resulting height details being 473.7m summit and 452.0m bwlch, giving this hill 21.7m of drop. 400m Sub-Pedwar total increases by one and confirmed as 216. 30th January 2017 – Mapping Mountains commences publication of Y Pedwarau. 400m Sub-Pedwar total confirmed as 215. This hill’s addition as a Pedwar was announced on the Mapping Mountains site on 30.12.16, the hill was previously listed as a 400m Sub-Pedwar with c 29m of drop based on an estimated summit and bwlch height of c 407m and c 378m respectively. The reclassification to Pedwar status is from LIDAR data analysed by Aled Williams with the resulting height details being 413.6m summit and 377.0m bwlch, giving this hill 36.6m of drop. 400m Sub-Pedwar total decreases by one and confirmed as 215. This hill is a new addition to the ranks of 400m Sub-Pedwarau and was announced on the Mapping Mountains site on the 28.12.16, and prior to this listing the hill was not a part of any hill list known to the authors. The hill is included as a 400m Sub-Pedwar through analysis of LIDAR data by Aled Williams which resulted in a 408.4m summit and 386.4m bwlch height, which gives this hill 22.0m of drop. It should be noted that this hill comprises waste spoil from mining and as a result it is deemed as being man-made. 400m Sub-Pedwar total increases by one and confirmed as 216. The deletion of this hill from 400m Sub-Pedwar status was announced on Mapping Mountains on 26.12.16, the hill was previously listed with c 20m of drop based on the 408m summit spot height which appears on the Ordnance Survey 1:25,000 Explorer map and an estimated bwlch height of c 388m based on bwlch contouring between 380m – 390m. This hill’s numerical detail was analysed with LIDAR data by Aled Williams resulting in a 408.0m summit and 389.5m bwlch height, giving this hill only 18.5m of drop. 400m Sub-Pedwar total decreases by one and confirmed as 215. This hill’s addition as a 400m Sub-Pedwar was announced on the Mapping Mountains site on 22.12.16, the hill was previously catalogued as having only 7m of drop based on a 416m summit spot height and a 409m bwlch spot height, with the latter appearing on the Ordnance Survey enlarged mapping hosted on the Geograph website, however analysis of LIDAR data by Aled Williams has shown that a 427.2m summit exists and with a bwlch height of 406.2m, this hill has 21.0m of drop which is sufficient for its inclusion in this sub list. 400m Sub-Pedwar total increases by one and confirmed as 216. Confirmation of this hill’s reclassification via the Mapping Mountains site on 20.12.16, the hill was previously listed as a Pedwar with 30m of drop based on a 429m summit and 399m bwlch spot height, with the latter appearing on the Ordnance Survey enlarged mapping hosted on the Geograph website. The reclassification to 400m Sub-Pedwar is from LIDAR data analysed by Aled Williams with the resulting details being 428.1m summit and 399.3m bwlch, giving this hill only 28.8m of drop. 400m Sub-Pedwar total increases by one and confirmed as 215. The first hill to change in status to a Pedwar due to analysis of LIDAR data, with confirmation of the change in status via the Mapping Mountains site on 18.12.16, the hill was previously listed as a 400m Sub-Pedwar with c 28m of drop based on a 416m summit spot height and interpolation of bwlch contours. The reclassification to Pedwar is from LIDAR data analysed by Aled Williams with the resulting details being 415.6m summit and 384.2m bwlch, giving this hill 31.4m of drop which is sufficient for Pedwar qualification. 400m Sub-Pedwar total decreases by one and confirmed as 214. The first hill to appear in the Y Pedwarau listing to solely benefit from the analysis of LIDAR data conducted by Aled Williams, this hill’s inclusion in this sub category was announced on the Mapping Mountains site on 14.12.16, and to the knowledge of the authors this hill had never appeared in any form of hill list prior to this listing. The analysis of the LIDAR data resulted in this hill being listed with a 405.4m summit height and a 383.9m bwlch height, with these values giving this hill 21.5m of drop which is sufficient for its inclusion as a 400m Sub-Pedwar. 400m Sub-Pedwar total increases by one and confirmed as 215. This hill’s deletion from this sub category was announced on the Mapping Mountains site on 05.12.16, the hill had previously been listed in the Y Pedwarau booklet published by Europeaklist in May 2013 with c 21m of drop based on the 435m Ordnance Survey summit spot height on the 1:50, 000 Landranger and the 1:25,000 Explorer maps and an estimated bwlch height of c 414m based on bwlch contouring between 410m – 420m, with the bwlch having two possibilities for the position of its critical point. The summit and one of the bwlch positions was surveyed with the Trimble GeoXH 6000 by Myrddyn Phillips and Aled Williams on the 14.07.16, resulting in a 433.0m summit height and a 416.9m bwlch height at SH 71909 74471, with the hill retaining its 400m Sub-Pedwar status as the second option for the bwlch position was then estimated as being c 413m high, giving this hill an approximate drop of c 20m. The hill was subsequently analysed with LIDAR by Aled Williams and the second option for the bwlch position at SH 72253 74153 was found to be 414.7m high, resulting in this hill only having 18.3m of drop. 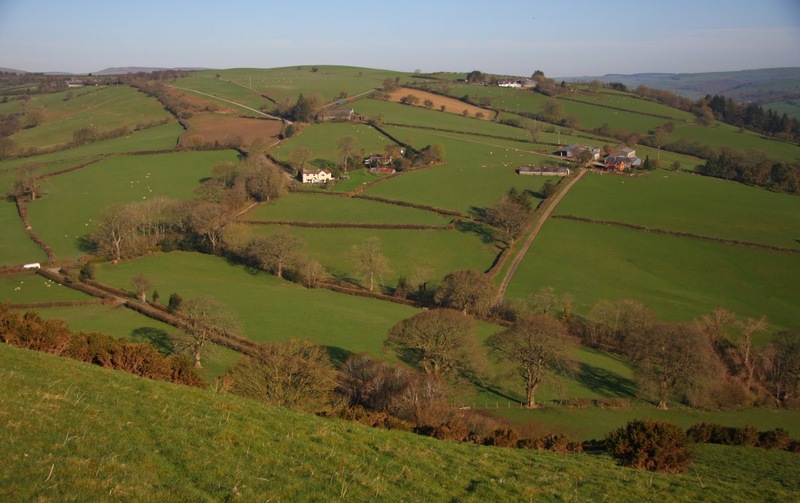 Moelfre is the first of a significant number of hills listed in Y Pedwarau whose numerical data is benefiting from Aled’s analysis of LIDAR data and the resulting reclassifications appear above. 400m Sub-Pedwar total decreases by one and confirmed as 214. Confirmation of this hill’s status change via the Mapping Mountains site on 17.04.16, the hill was previously listed as a Pedwar with 30m of drop based on a basic levelling survey conducted by Myrddyn Phillips on 15.12.03 which resulted in 98ft 6″ (30.0m) of drop. This hill was subsequently surveyed with the Trimble GeoXH 6000 by Myrddyn Phillips on 08.04.16, resulting in the hill having only 28.3m of drop. 400m Sub-Pedwar total increases by one and confirmed as 215. Confirmation of this hill’s reclassification was announced on the Mapping Mountains site on 20.03.16, the hill was previously listed as a Pedwar with 35m of drop based on a 478m summit and a 443m bwlch spot height appearing on the Ordnance Survey enlarged mapping on the Geograph website, which had been favoured for this hill’s drop value over a basic levelling survey conducted by Myrddyn Phillips on 06.01.04 which resulted in 99ft (30.2m) of drop. This hill was subsequently surveyed with the Trimble GeoXH 6000 by Myrddyn Phillips on 14.03.16, resulting in the hill having only 29.9m of drop. This hill has subsequently been surveyed by John Barnard and Graham Jackson on the 24.06.17 using a Leica GS15 resulting in a 30.2m drop value and its re-instatement as a Pedwar (see above). 400m Sub-Pedwar total increases by one and confirmed as 214. 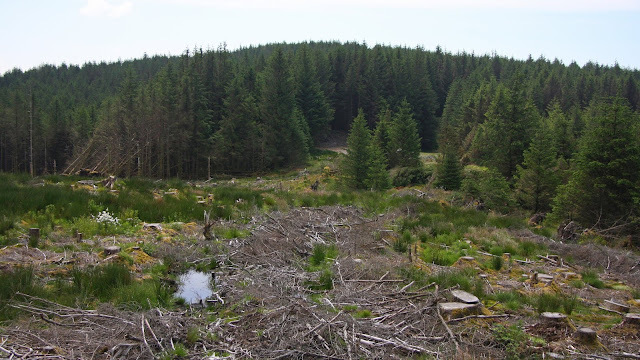 This hill’s status change was confirmed on the Mapping Mountains site on 17.03.16, the hill was previously listed as a Pedwar with 31m of drop based on a basic levelling survey conducted by Myrddyn Phillips on 13.05.05 which resulted in 102ft (31.1m) of drop. This hill was subsequently surveyed with the Trimble GeoXH 6000 by Myrddyn Phillips and Fergal Hingerty on 12.03.16, resulting in the hill having only 29.2m of drop, which is insufficient for it to retain its Pedwar status. 400m Sub-Pedwar total increases by one and confirmed as 213. This hill’s deletion from this sub category was announced on the Mapping Mountains site on 17.02.16, the hill had previously been listed as a 400m Sub-Pedwar with c 20m of drop based on the 417m summit spot height and an estimated bwlch height of c 397m. The hill was surveyed using the Trimble GeoXH 6000 by Myrddyn Phillips on 10.02.16, resulting in 18.6m drop with a summit height of 415.8m and a bwlch height of 397.2m. 400m Sub-Pedwar total decreases by one and confirmed as 212. Confirmation of this hill’s status change via the Mapping Mountains site on 06.10.15, the hill was previously listed as a Pedwar with 30m of drop based on a basic levelling survey conducted by Myrddyn Phillips on 16.10.03 which resulted in a drop value of 99ft (30.2m). This hill was subsequently surveyed with the Trimble GeoXH 6000 by Myrddyn Phillips and Aled Williams on 08.09.15, resulting in the hill having only 27.7m of drop, which is insufficient for it to retain its Pedwar status. 400m Sub-Pedwar total increases by one and confirmed as 213. This hill’s status change was confirmed via the Mapping Mountains site on 05.09.15, with the change in classification being a surprise as the hill was previously listed with c 34m of drop based on a c 410m summit and c 376m bwlch height, with the summit height being an estimation based on a small 410m ring contour which is erroneous as no such height exists on the summit of this hill. This hill was surveyed with the Trimble GeoXH 6000 by Myrddyn Phillips and Mark Trengove on 12.08.15, resulting in a 403.9m summit and 378.6m bwlch height, giving this hill only 25.4m of drop and therefore it is reclassified from a Pedwar to a 400m Sub-Pedwar. 400m Sub-Pedwar total increases by one and confirmed as 212. Confirmation of this hill’s status change was announced on the Mapping Mountains site on 23.05.15, the hill was previously listed as a Pedwar with 30m of drop based on the 468m summit spot height and the 438m bwlch spot height, with the latter appearing on the Ordnance Survey enlarged mapping on the Geograph website. This hill was surveyed with the Trimble GeoXH 6000 by Myrddyn Phillips on 21.05.15, resulting in a 466.4m summit and 438.1m bwlch height, with these values giving this hill a drop of 28.3m. 400m Sub-Pedwar total increases by one and confirmed as 211. The first hill to be reclassified from a Pedwar to a 400m Sub-Pedwar through surveying with the Trimble GeoXH 6000, with the hill’s status change being confirmed via the Mapping Mountains site on 19.05.15, the hill’s listing as a Pedwar was based on Ordnance Survey spot heights of 424m at the summit and 393m at the bwlch, giving this hill 31m of drop. This hill was subsequently surveyed with the Trimble GeoXH 6000 by Myrddyn Phillips on 16.05.15, resulting in a 422.3m summit and 393.2m bwlch height, with these values giving this hill 29.0m of drop and therefore reclassifying it to 400m Sub-Pedwar status. 400m Sub-Pedwar total increases by one and confirmed as 210. The reclassification of Mynydd Poeth was announced on the Mapping Mountains site on 26.12.14, the hill was previously listed as a 400m Sub-Pedwar with c 29m of drop based on the Ordnance Survey 417m summit spot height and an estimated bwlch height of c 388m. 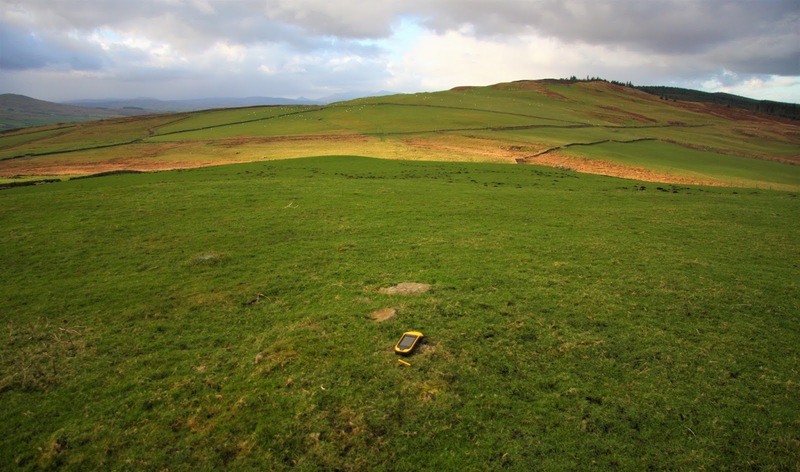 This hill was surveyed with the Trimble GeoXH 6000 by Myrddyn Phillips and Mark Trengove on 24.12.14, resulting in a 419.3m summit and 387.6m bwlch height, with these values giving this hill 31.7m of drop which is sufficient for its reclassification to Pedwar status. 400m Sub-Pedwar total decreases by one and confirmed as 209. This hill’s reclassification to Pedwar status was announced on the Mapping Mountains site on 27.09.14, it was previously listed as a 400m Sub-Pedwar with c 27m of drop based on the Ordnance Survey 499m summit spot height on the enlarged mapping on the Geograph website and an estimated bwlch height of c 472m. This hill was surveyed with the Trimble GeoXH 6000 by Myrddyn Phillips, Mark Trengove and Dave Middleton on 21.09.14, resulting in a 499.5m summit and 469.2m bwlch height, with these values giving this hill 30.3m of drop. 400m Sub-Pedwar total decreases by one and confirmed as 210. This hill’s inclusion to this sub category was announced on the Mapping Mountains site on 16.09.14, and to the knowledge of the hill list authors this hill had not appeared in a published hill list prior to it becoming a 400m Sub-Pedwar. The hill was surveyed using the Trimble GeoXH 6000 by Myrddyn Phillips on 09.09.14, resulting in a 20.4m drop based on a summit height of 416.4m and a bwlch height of 396.0m. 400m Sub-Pedwar total increases by one and confirmed as 211. 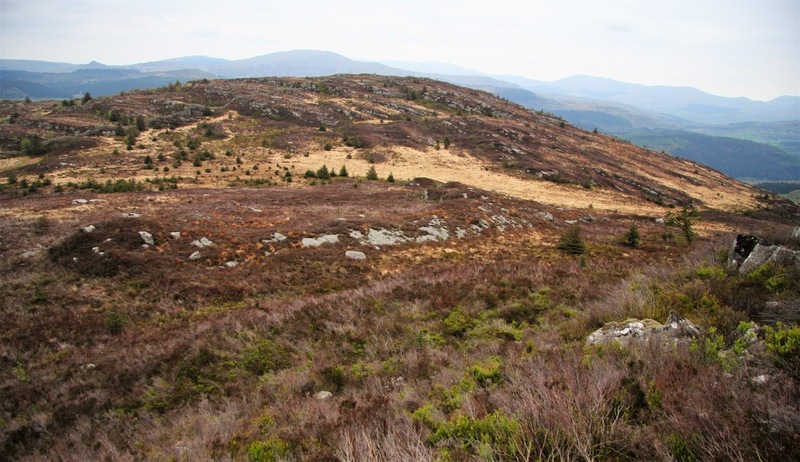 Confirmation of this hill’s inclusion into the Pedwar ranks was announced on the Mapping Mountains site on 07.05.14, it was previously listed as a 400m Sub-Pedwar in the Europeaklist publication with 26m of drop based on the 423m Harvey Maps summit spot height and the 397m bwlch spot height appearing on the Ordnance Survey enlarged mapping on the Geograph website. This hill was surveyed with the Trimble GeoXH 6000 by Myrddyn Phillips on 03.05.14, resulting in a 430.9m summit and 397.6m bwlch height, with these values giving this hill 33.4m of drop. 400m Sub-Pedwar total decreases by one and confirmed as 210. The deletion of this hill from 400m Sub-Pedwar status was announced on the Mapping Mountains site on 19.04.14, the hill had previously been listed as a 400m Sub-Pedwar with 23m of drop based on its 417m summit and 394m bwlch spot heights that appear on the Ordnance Survey enlarged mapping hosted on the Geograph website. The hill was subsequently surveyed with the Trimble GeoXH 6000 by Myrddyn Phillips on 18.04.14, resulting in 19.7m of drop with a 417.0m summit and 397.3m bwlch height. 400m Sub-Pedwar total decreases by one and confirmed as 211. The classification of this hill to 400m Sub-Pedwar status had been missed because of a typo when assessing the information for the Europeaklist publication, as the hill automatically qualifies for this sub list with a 416m summit spot height on the Ordnance Survey enlarged mapping on the Geograph website and an estimated bwlch height of c 395m, giving this hill c 21m of drop. The hill’s inclusion as a 400m Sub-Pedwar was announced on the Mapping Mountains site on 06.04.14, and it was subsequently surveyed with the Trimble GeoXH 6000 by Myrddyn Phillips on 14.03.16 and the result announced on Mapping Mountains on 20.03.16, resulting in a 415.5m summit and 393.8m bwlch height, with these values giving this hill 21.7m of drop. 400m Sub-Pedwar total increases by one and confirmed as 212. The status change of this hill was confirmed via the Mapping Mountains site on 13.03.14, having been previously listed in the Europeaklist publication as a 400m Sub-Pedwar with 29m of drop based on a basic levelling survey conducted on the 23.09.03 by Myrddyn Phillips resulting in 97ft (29.6m) of drop. This hill was subsequently surveyed with the Trimble GeoXH 6000 by Myrddyn Phillips on 11.01.14, resulting in the hill having 30.0m of drop, this was later confirmed with a survey conducted by John Barnard and Myrddyn Phillips on the 13.03.14 with the following results; 30.06m drop via line survey, 30.1m drop via survey with the Leica GS15 and 30.1m drop via survey with the Trimble GeoXH 6000. 400m Sub-Pedwar total decreases by one and confirmed as 211. 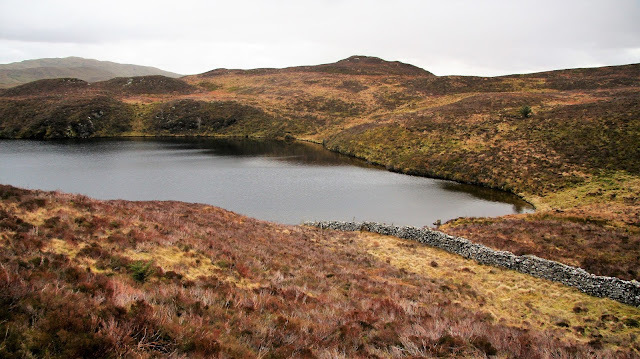 The change in status of this hill was announced on the Mapping Mountains site on 05.03.14, the hill had been previously listed as a 400m Sub-Pedwar with the minimum qualifying drop of 20m based on the 475m summit spot height on Ordnance Survey 1:50,000 Landranger and 1:25,000 Explorer maps and a bwlch height of 455m, with the details for the latter appearing on the Ordnance Survey enlarged mapping hosted on the Geograph website. This hill was subsequently surveyed with the Trimble GeoXH 6000 by Myrddyn Phillips on 04.03.14, resulting in the hill having a 476.0m summit and 456.2m bwlch height, giving this hill 19.8m of drop, which is insufficient for its retention as a 400m Sub-Pedwar. 400m Sub-Pedwar total decreases by one and confirmed as 212. The reclassification of this hill was announced on Mapping Mountains on 02.03.14, the hill had been previously listed as a 400m Sub-Pedwar with 29m of drop based on the 474m summit spot height on Ordnance Survey 1:25,000 Explorer maps and a bwlch height of 445m, with the details for the latter deriving from a 1461ft levelled height on the old 1:2,500 map. This hill was subsequently surveyed with the Trimble GeoXH 6000 by Myrddyn Phillips and Aled Williams on 01.03.14, resulting in the hill having 31.2m of drop, which is sufficient for qualification as a Pedwar. 400m Sub-Pedwar total decreases by one and confirmed as 213. The first hill now listed as a 400m Sub-Pedwar whose classification altered due to a survey with the Trimble GeoXH 6000, with the change in status being announced on the Mapping Mountains site on 26.02.14, previous to this survey the hill had not appeared in any published hill list known to the authors. This hill was subsequently surveyed with the Trimble GeoXH 6000 by Myrddyn Phillips on 26.02.14, resulting in a 452.4m summit and 429.9m bwlch height, with these values giving this hill 22.6m of drop, which is sufficient for its inclusion as a 400m Sub-Pedwar. 400m Sub-Pedwar total increases by one and confirmed as 214. 6th January 2014 – Haroldstreet publishes Y Pedwarau. 400m Sub-Pedwar total confirmed as 213. 23rd May 2013 – Europeaklist publishes Y Pedwarau.